The day before miss Garcia Chacon, also living in Kassel called him. 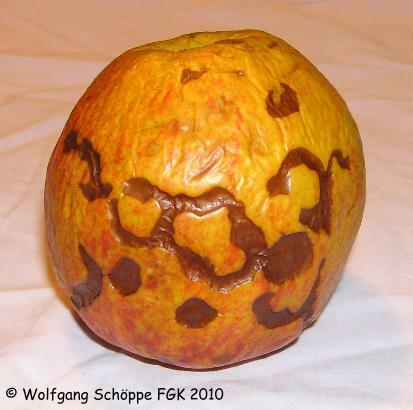 Miss Garcia Chacon told Wolfgang she has found an engraved apple. Wolgang knows this woman for about 15 years now. This because in those days she obviously received a message from that "after live" area, and the fact strange things are happening in the house she is living in. 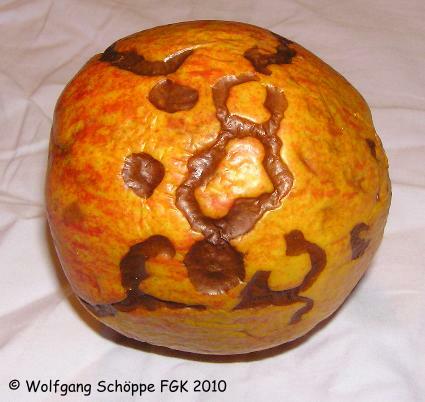 I thank miss Garcia Chacon for reporting this engraved apple, and Wolfgang Schöppe for forwarding the information to me, as well as making those pictures of the apple. 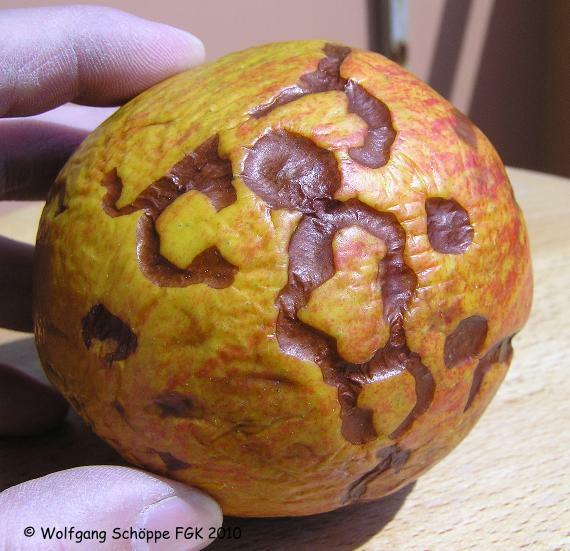 The engraved apple phenomenon is not that new. In the nineties of the last century the "mass medium" Jomanda payed attention to the phenomenon. She made a connection with cropcircles. on may 29th 1999 i received an engaved apple myself. Most reports of engraved apples reached me, especcially from the Netherlands. sometimes from abroad but just close to the Dutch borders. This probably because Jomanda beeing very populair in those days, payed that much attention to them.